South Korea, and more specifically teaching English in South Korea, has been a huge part of my life. I first went to teach English in South Korea when I was twenty three years old and I spent a year living in Daegu, teaching in a private language hagwon. The experience was highly positive and I left with happy thoughts, thinking that my teaching career was over (I never saw myself as a teacher long term). However, I soon found myself teaching full time again and a couple of years later, I moved back to Korea to live on the beautiful island of Jeju where my partner was teaching English. 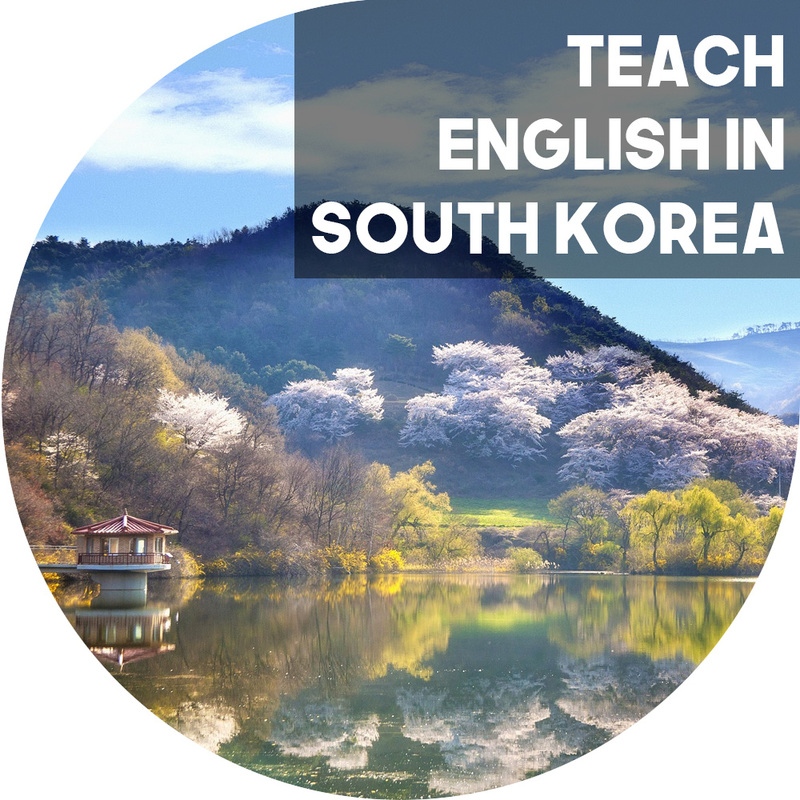 I made this page to share all of my knowledge about teaching English in South Korea and to share everything that I wish I had known when I first went. You’ll see a little contents box which you can use to navigate this page and get to the relevant information. What Qualifications Do You Need To Teach English in South Korea? If you do not meet the above criteria, unfortunately you will find it extremely difficult (I don’t like to use the word impossible) to teach in South Korea at this time. There are other places that you can teach and you are best looking into other options. I recommend obtaining a criminal background check as soon as possible (they are generally valid for six months) if you are looking for a job as this will be the major hold up for most applicants (particularly those from the US as it takes a long time). Obtaining TEFL certification is only necessary if you want to work for a government school, but even if you want to work for a private school, it will improve your job prospects, might increase your salary, and will hopefully make you a better teacher. These are all important issues as the job market in South Korea has experienced a surge of applications over the past few years, making it much harder to find a job. You can read more about which TEFL certification (if any) you should obtain by reading this page. If you have major difficulty in finding a job in South Korea, you might also want to consider teaching English in China – it will still be a great experience and there are many more jobs available in China than in South Korea at this time. All of the above are brief bullet points concerning the benefits of teaching in South Korea, however if you want more in-depth explanations of every point, plus a few more points not mentioned, please read my full article, The Benefits of Teaching English in South Korea. Your school or the recruitment agency that you work with will help you through the process of obtaining an E2 visa which is a visa specifically for foreign language teachers. In order to obtain this, please ensure that you meet all of the above mentioned criteria and they will guide you through the process. There are other types of visas available, such as when you are married to a Korean citizen, but I don’t know enough about them to address them on this site. If you meet the prerequisites listed above, you can apply for a job in South Korea directly through my application form. This will pass your details on to my preferred recruiter who will get in contact with you to guide you through the process and help you to find a job. 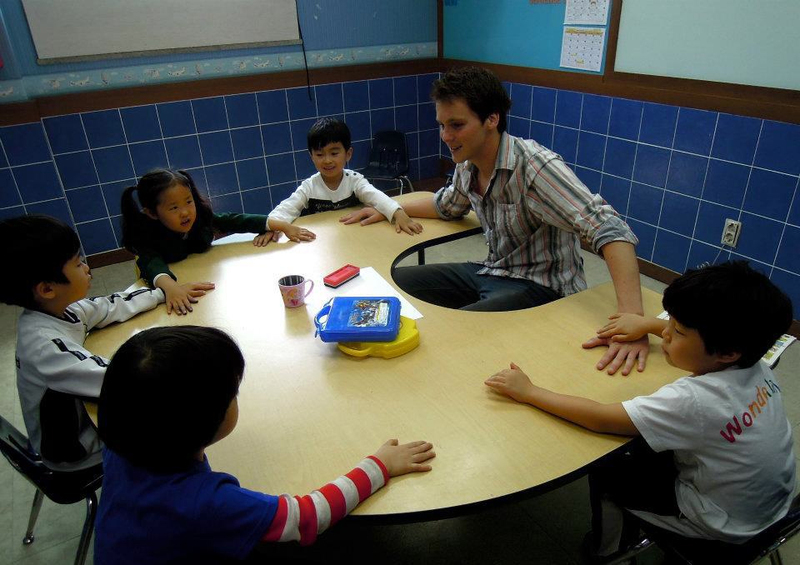 Alternatively, you can also read my extensive post, How To Find a Job Teaching English in South Korea, which will address other ways you can apply to teach in South Korea. As an aside, teaching experience will really help your application and boost your chances of getting a job. If you don’t have any experience, try doing some volunteer teaching – that got me a job. I have also teamed up with other recruiters to offer opportunities for teachers in other parts of the world. You can find out typical salaries, job benefits, and apply for jobs around the world on this page. Try Benny’s fluent in 3 months course which teaches you language learning techniques to learn any language. Why do I recommend this course? Click here to read my thoughts on language learning and this course. Try Beeline’s Korean course as there is a free trial, so no risk to you if you don’t like it. Why do I recommend this course? Click here to read my thoughts on the Beeline Korean course. 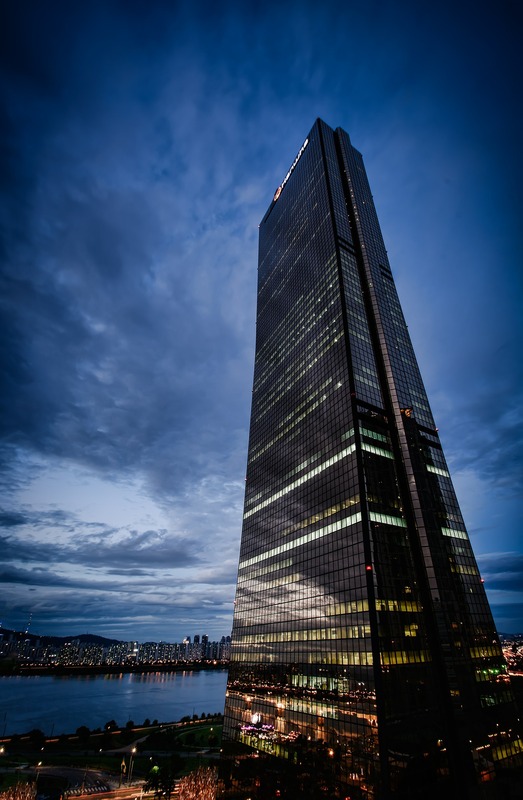 On the E2 visa you will have to pay regular Korean taxes because you will be living there as a resident, however you won’t have to worry about this as they will automatically be deducted from your salary. When I was in Korea, wage deductions included income tax, pension contributions (4.5% of salary), medical insurance (2% of salary), and foreign residents tax (about 10% of income tax). I managed to save myself over one million won by cancelling my pension and medical insurance – you can read more about that here. I get asked loads and loads of questions about teaching in Korea, so I set up a page (that I always add to). You will find many more questions in the comments, and questions have been answered mostly by myself, or also by others. When I don’t know the answer, I will try to refer you elsewhere. 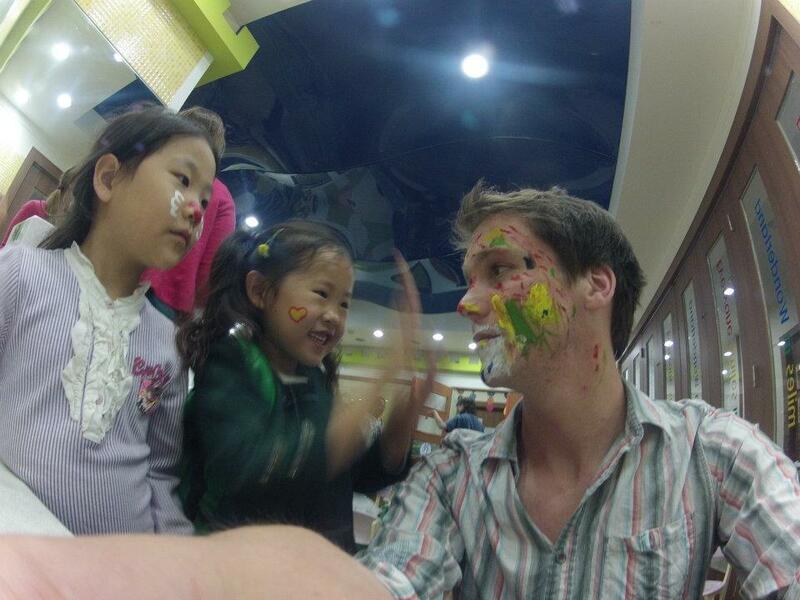 Read my FAQs About Teaching English in South Korea page. Daegu: Daegu is a big city and big cities are not generally to my liking. Despite this however, Daegu is easy to get around and feels smaller than the population suggests. There are great teacher communities and I made friends and memories that will remain with me for life. There is always a party going on in the centre of Daegu and everything runs all night, and I am grateful for my time there. When I left I said that I would never go back to teach in Korea, however this was due to my desire for an unplanned life, rather than any bad experiences in Daegu. I left to hitchhike around Europe and live in a tent. A few random clips from my year teaching in Daegu, South Korea. Seogwipo (Jeju): Jeju is incredible. I wasn’t teaching when I lived here (for six months), but I loved my time on the island (possibly because I had no obligations). There are less teachers than in Daegu, but I found the teacher communities to be super friendly with lots of organised events focusing on the outdoors (whereas Daegu was more about nightlife). As a lover of the outdoors, Jeju suited me very well and I have many good things to say about the island. There was also still lots of nightlife! If I was to ever go back to teach in Korea I would probably go back to Jeju because it suits the sort of person that I am. There are hundreds of towns and cities around Korea with foreign teachers, so there really is something for everyone, so have a think about what you like and try to find something suitable. There is a lot of information about teaching English in South Korea on this site. I recommend you take a look at some of the following pages and if you can’t find what you are looking for, leave a comment and I will get back to you. Disclaimer: The views expressed on this page are entirely my own and based upon my experiences of teaching in South Korea. I share this information freely for your learning, but it is based upon my experiences of teaching in Korea several years ago, so some of the information may not be up-to-date. The links to the language courses are affiliate links, meaning I will get paid a small commission if you buy the courses after clicking my link. It will not cost you any extra, it will help to support this site, and I only recommend them because I think they are good language learning options.